A home repair worker recently told me that I live in a constant state of emergency. Nothing like a contractor doubling as a psychologist, right? It didn’t help that he stopped me to sign a contract when I was on my way out the door to pick up my son for school — I’m on a schedule people! But it made me think that if even the contractor noticed I’m frazzled, maybe I’m living life a little too frantically. 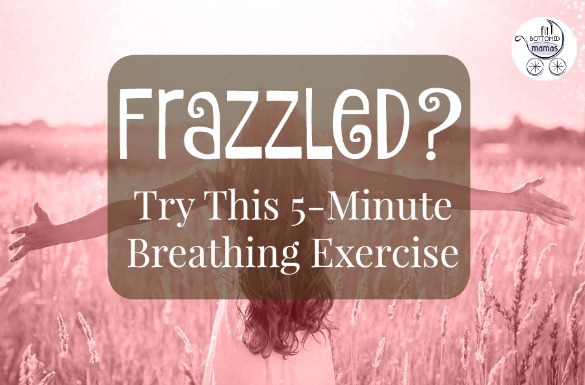 Whenever I’ve got time to kill at pickup or drop off, or at a red light, I try to do some deep breathing. I find even a few breaths can really decrease my stress levels. We recently shared a progressive meditation from Grokker (remember, we’re affiliates! ), but this one is just five minutes of breathing for when you’re short on time. And who isn’t? Enjoy! The thing I love about Grokker is that once you watch the video once, you have a new technique you can pull from when you need it. Teach a man to fish!